Unlike urgent, important is full of uncertainties, and fear, and it is gut wrenching. That’s why when urgent comes up, you grab onto it because it feels safer. Important does not have deadlines, that’s why you push it further down the pile to ‘wait for the right time’. Just because you are busy does not mean you are productive. Urgent will keep you on the treadmill all the time but will never get you anywhere. Yet it is that you are busy that you have neglected all the important things in your life. Take a moment and ask yourself, am I just busy and not productive? Sometimes you are in meetings all day, and none of these meetings added any value to your work. Stop waiting for inspiration to get the important things done. If you wait for inspiration it will come at the wrong time, when urgent is there flashing red lights and it must be attended to. Other times inspiration might not come for a long time. Like is said, important is full of fear, and as humans, we avoid that which makes us afraid. Therefore, make a plan, schedule, put reminders and alarms if you have to, and get some time in a day to get the important done. Say first thing in the morning, before you even open your emails to view what’s urgent, get the important done first. My guide for how to create time in your busy day might help, as you plan for this. Some tasks look very urgent but in actual sense, they are not. Sometimes when you say ‘I have to respond to this email first’ ask yourself, do you? What will happen if you don’t answer it now? What will happen if you put off your colleague pushing some ‘urgent’ work on your desk? 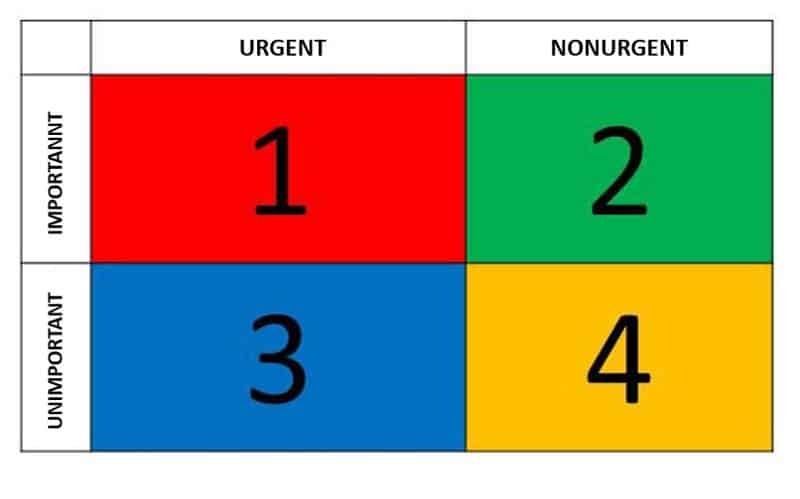 Before you get to it, ask yourself how urgent it is. The important is your future, that’s why you need to work on it now, for the sake of your future. A person essentially lend a hand to make siifcnigantly articles I might state. This is the first time I frequented your web page and thus far? I amazed with the analysis you made to make this actual submit amazing. Fantastic activity!